EAP CROCHET PATTERN Strawberry Delight Girls Adult Blanket/Throw & Strawberry Pin Ebook Crochet Pattern in Pdf formatHave you ever longed for those deliciously warm summer days, when nothing seems sweeter than that fresh-picked strawberry that just brought a huge grin to your face? 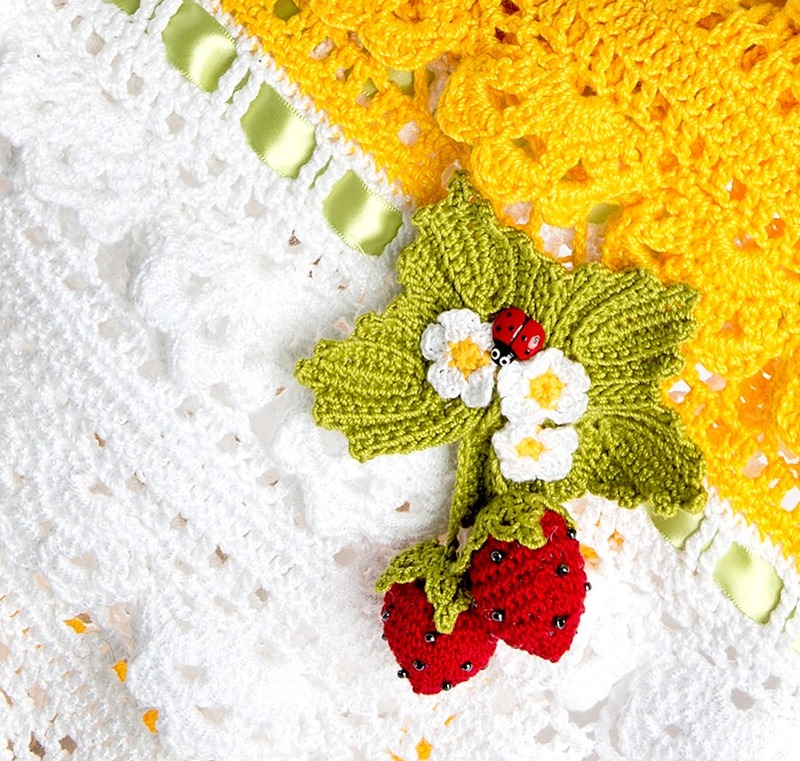 Now you can bring that feeling of sunshine, happy babies, family picnics, pretty flowers, and of course—strawberry-induced joy—to every day with the Strawberry Delight Blanket. 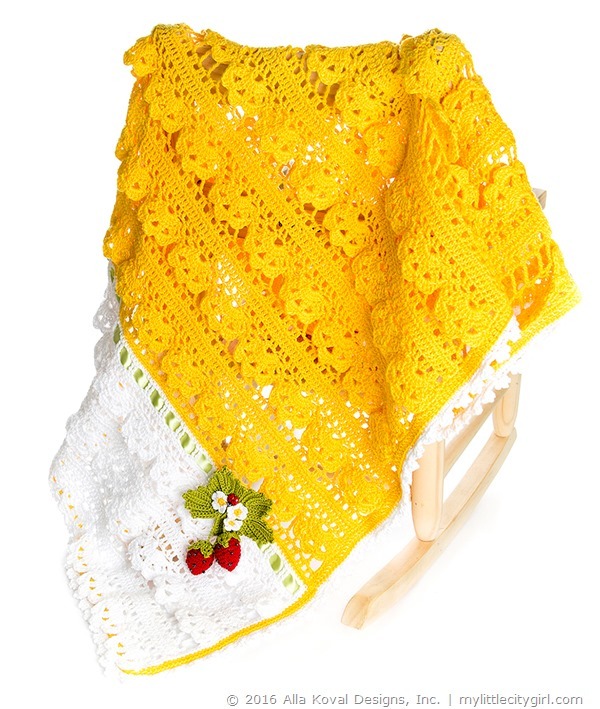 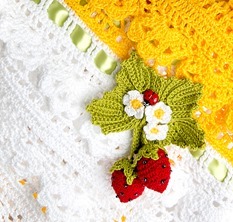 Lovingly designed with eye-popping 3D flowers and “garnished” with a beautiful strawberry with leaves pin, this blanket would be perfect for a Summer-born baby or just anyone who deserves more sunshine in their life! 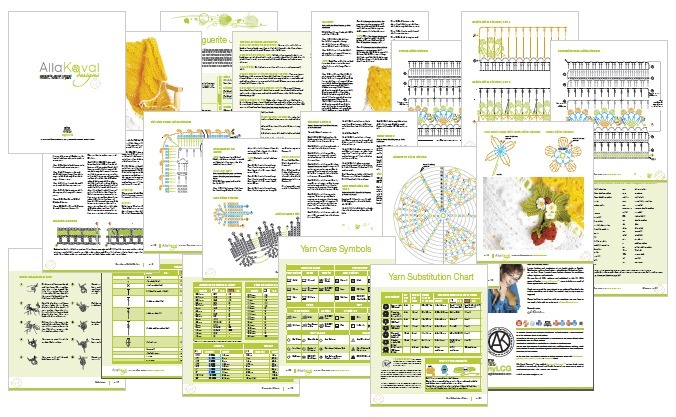 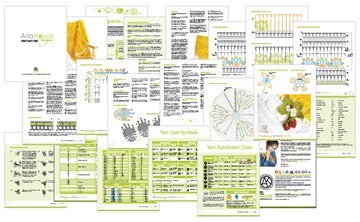 22 pages, 4 photos, 10 crochet stitch diagrams, 2 tutorails, technical pages: Glossary, Conversion charts charts, Yarn Care Symbols, Yarn Substitution Chart.